The durable men's wedding bands retailer has gotten its fair share of press and attention this wedding season. Ahead of their biggest wedding season to date, TungstenWorld.com is drawing attention from many of the internet’s leading wedding websites having been featured on OnceWed.com, GreenWeddingShoes.com, GroomsAdvice.com, MyWedding.com and 100LayerCake.com already this summer. 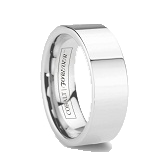 A leading retailer of durable wedding bands in tungsten carbide and cobalt chrome for the past five years, Tungsten World’s line of Tungsten Forever™ tungsten wedding bands has long been a favorite of prospective brides and grooms searching for tough, scratch resistant wedding bands and jewelry made to last the test of time. 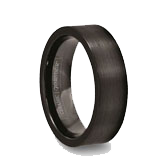 And with the alternative metals surging recently in the wedding industry, major wedding websites and blogs are looking to feature the best in tungsten carbide wedding bands for their eager readership. 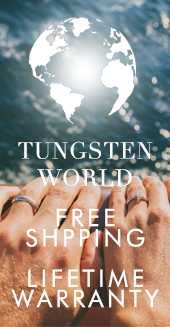 "A large majority of our target audience are people buying wedding bands, most of which do lots of research on various wedding websites," said Chris B, TungstenWorld.com’s Head of Internet Marketing. 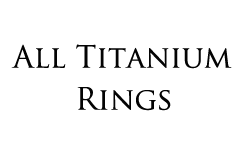 "Being featured on some of the top wedding websites not only informs the site’s visitors about our companies great products but it also adds to the credibility and trustworthiness of Tungsten World." Taking advantage of the higher traffic volume to their sites during the busy wedding season, many wedding websites and blogs have been educating their readers on the best of what's available for their weddings this summer and what’s hot and trendy in the 2012 wedding season. Among the wedding sites and blogs featuring TungstenWorld.com and their wedding bands, OnceWed.com took the opportunity to highlight the tungsten retailer’s commitment to durable and high quality wedding band designs while providing their customers with an unparalleled level of customer service throughout the buying process and beyond. 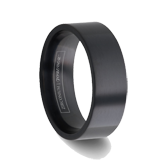 Following suit, in Groomsadvice.com’s World’s Strongest and Most Durable Tungsten Wedding Bands article, the men’s site advised its readers on the forever quality and tough nature of Tungsten World’s men’s wedding bands. 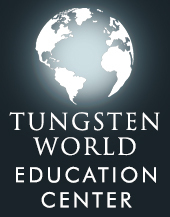 Over at 100layercake.com, TungstenWorld.com and their lifetime warranty along with some fun facts regarding tungsten was the featured for readers. While MyWedding.com and GreenWeddingShoes.com each had posts featuring contests being run for their readers and prospective customers this summer by TungstenWorld.com: Tungsten World’s Tungsten Heart Pendant Giveaway and Tungsten World’s Pin-It to Win-It contest with prizes of up to a $150 gift card for winners. 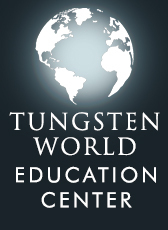 "It's great to be getting all this recent press from around the internet and we're looking forward to a busy summer," said Stephen McKenna, Tunsgten World Owner. 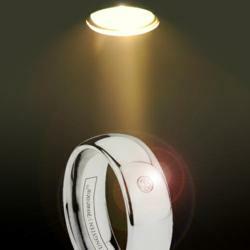 "Tungsten wedding bands are quickly coming into the mainstream and this just shows how much people are taking notice. 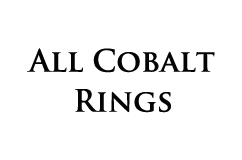 We're happy to spread the word to as many people as possible and love knowing we'll be a part of so many weddings this summer."